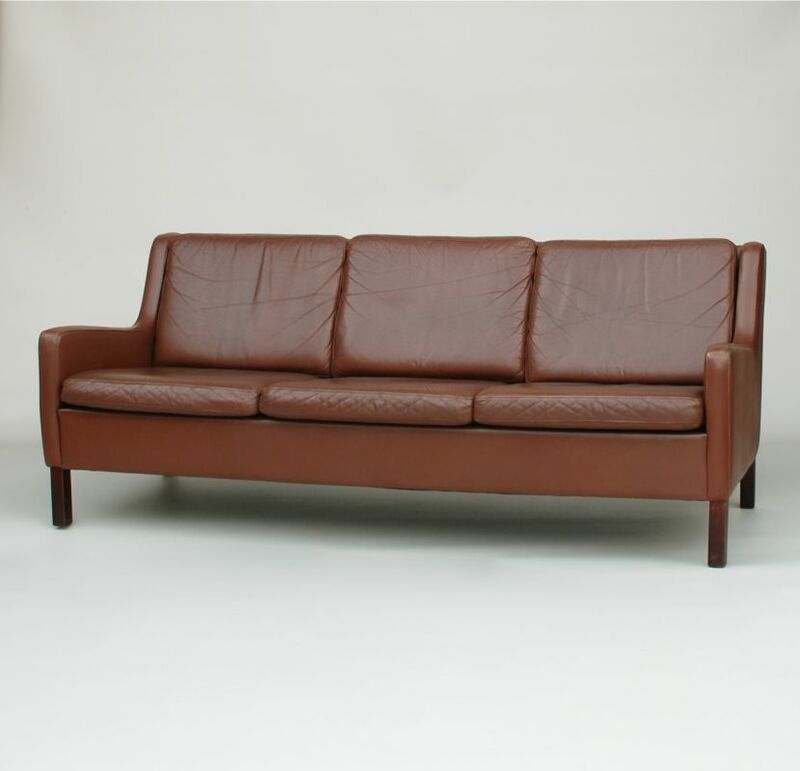 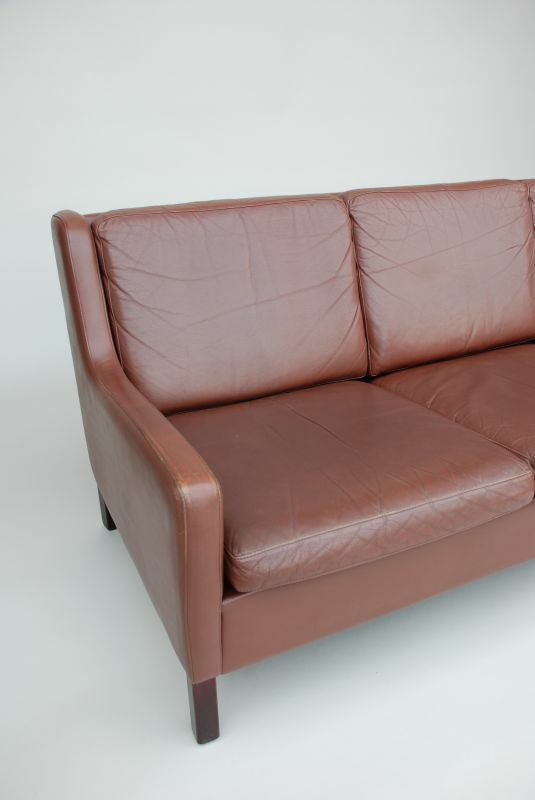 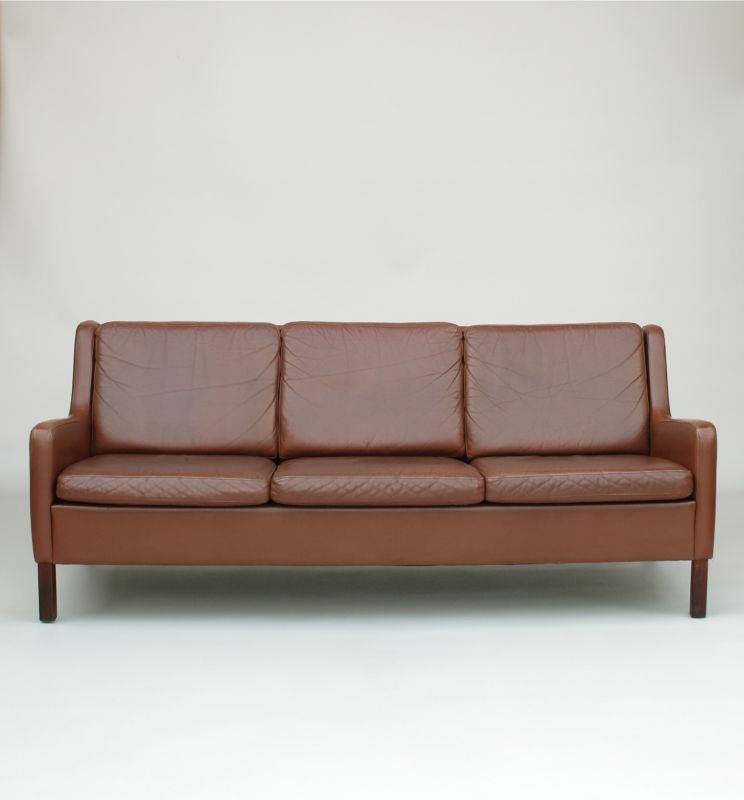 A leather sofa in chocolate brown hide in the style of Borge Mogensen. 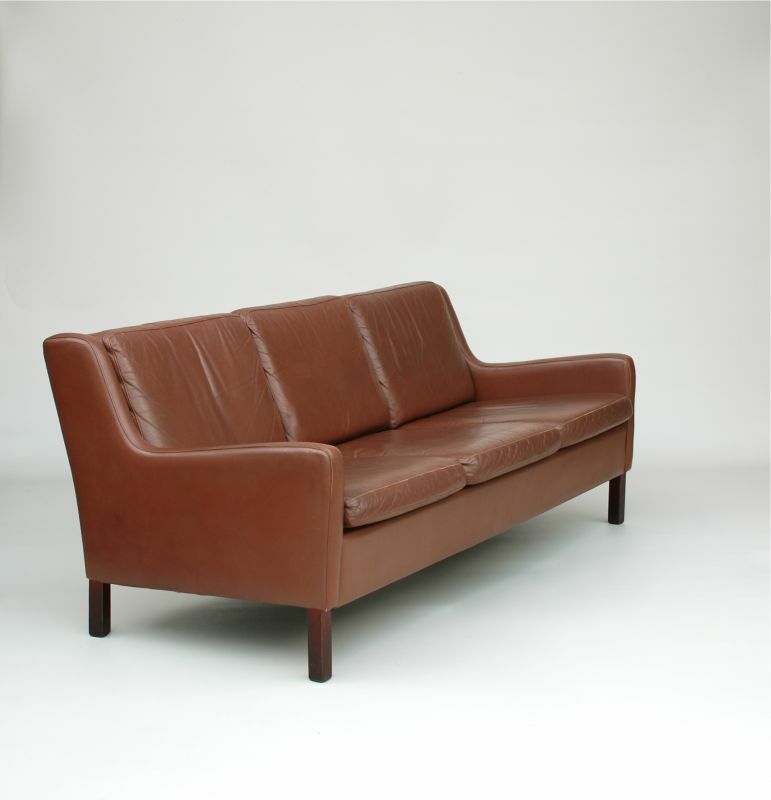 Made in Denmark in the 70s. The sofa is about as small and compact as you will find in a three seather sofa, because there is no bulk to the arms or back. 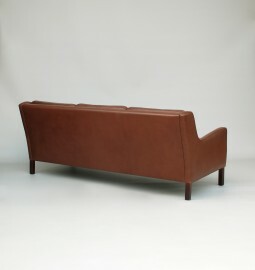 The sofa is 181 cm wide, 83 cm deep and 74 cm high. 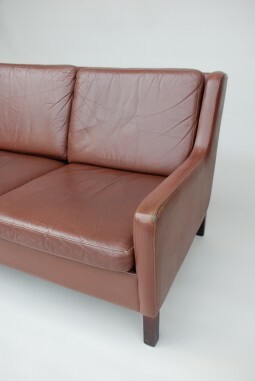 The seat is at 41 cm.